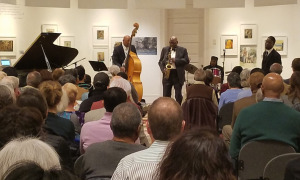 Serious Bay Area fans braved heavily snarled traffic on this rainy dark Thursday night for the second set of renowned South African guitarist Jonathan Butler. 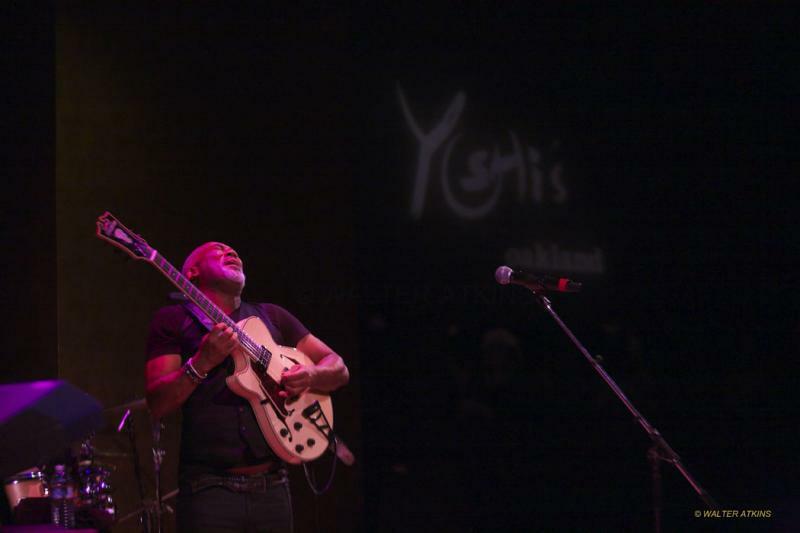 Now living in warm Southern California, Butler and his potent band flew in the same day for a two night stand at Yoshis in Oakland. 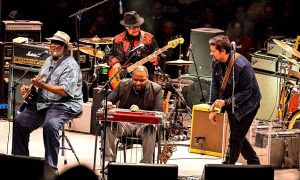 Butler's steadfast band consisted of bassist Dan Lutz, drummer Chaun Horton and keyboardist Arlington Jones. During his introduction, Butler was greeted with appreciative hoots and vocal support from his eager audience. 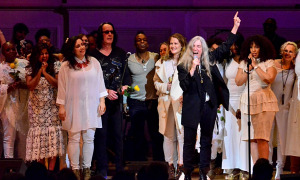 The nightcap gig consisted of "African Moon, Let There Be Light," "Song for E," "Living My Dream," "Sarah Sarah," "Even The Pain," "Lies," "Free JB." Butler and company opened the set with blistering instrumental rhythms along with his energized vocalese style. The receptive house quickly got into the funky robust groove with jubilant head nodding. 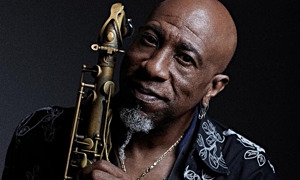 Butler performed a song co-written with imminent bassist Marcus Miller to celebrate late bassist (and retired NBA player) Wayman Tisdale. He talked about how early in his career when he met the band members of the Yellowjackets, a group that was a major influence for him. Over his long career, he loved playing Yoshis and considered it a second home. Butler planned to perform the title track from his CD Free (Mack Avenue, 2015) but after thoughtful consideration, the Cape Town guitarist decided on an inspirational version of Bob Marley's immortal "No Woman No Cry." The entire venue was mesmerized by his soulful and moving delivery. His performance was an uplifting experience and put Free into context. Like an old friend and confidant, Butler said we are all "tested" addressing everyone in the room. He talked eloquently and directly about his faith in God and the extreme times he and his family endured including the devastating house fire. As he scooped up his "screaming grand daughter" from the bathtub in his pajamas and with steely focus for his family's safety, he did not notice he was on fire. After receiving medical attention for his burns, he calmly stated the, "The show must go on," and prepared for a photo shoot for the album cover of Free. The long sleeve shirt he wore hid the bandages. During the subsequent tour, he changed his wrappings nightly, "on the road alone." Recounting the last five years, Butler gave additional testimony to these nearly overwhelming trials he faced which also included a second suicide attempt by his son in San Diego. Audience members stood up and testified. At one point it felt like you were in an intimate neighborhood church celebrating the Creator. Butler turned the Yoshi's stage into an impromptu pulpit, filling the house with words of strength and optimism. As he thanked everyone at the set's conclusion, Butler had ignited a joyous standing ovation from the sanctified attendees. 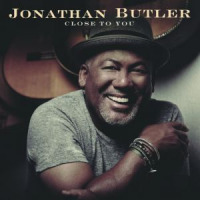 Jonathan Butler presented an evening of vibrant music and extraordinary personal faith and strength. His resolute spirit informed his music giving it a soulful, undeniable power and depth. The music gave the listeners exuberance and confirmation. Every heart and the heavens were listening tonight.